Things have been busy for me the last part of the year and I haven't been able to post here as much as I would like to. 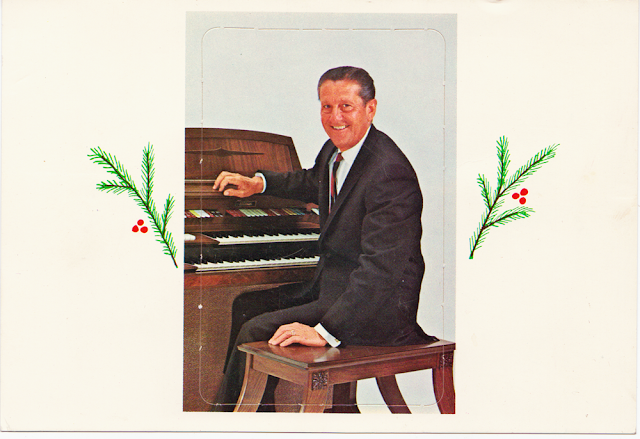 Hopefully I can at least get this one Christmas post in. 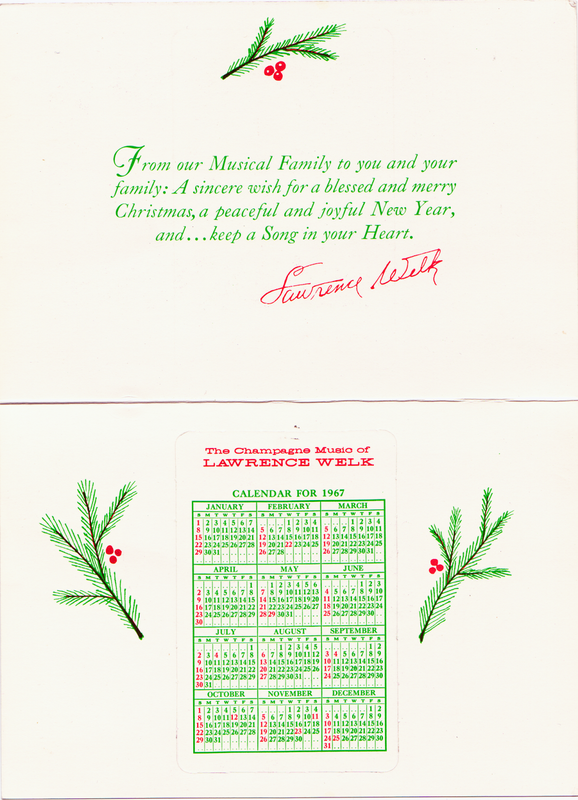 I wanted to share this Lawrence Welk Christmas Card. In it is a punch out calender with a picture of Lawrence Welk on the back. Lawrence Welk was a big thing at one time. He had a show on that ran from the 50's through 1980. He had a resort and a restaurant, maybe more than one. It was a big deal. I like watching the old shows, especially the color ones. The colors and sets are amazing and kooky sometimes. 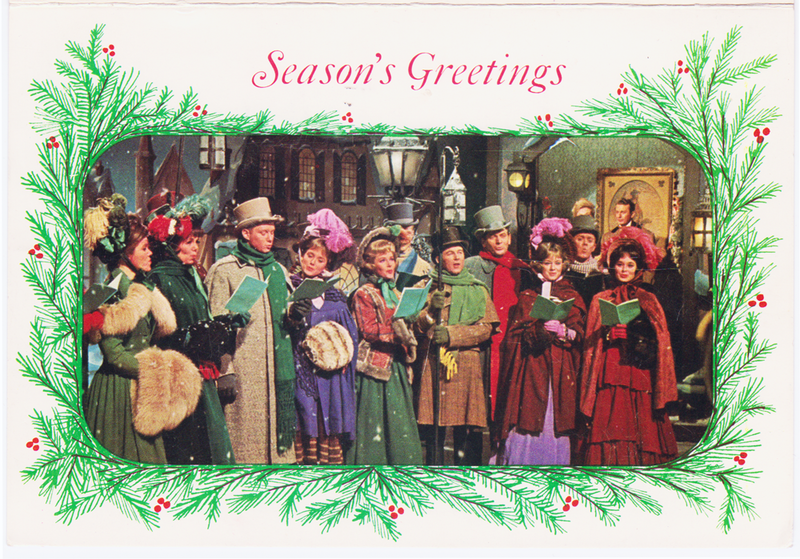 It's nice to image that such a sweet simple musical program was so popular. My grandparents would watch it a lot when I was a kid. At that time they were probably my age now.